The Prettiest Vase of Pink Flowers Ever! 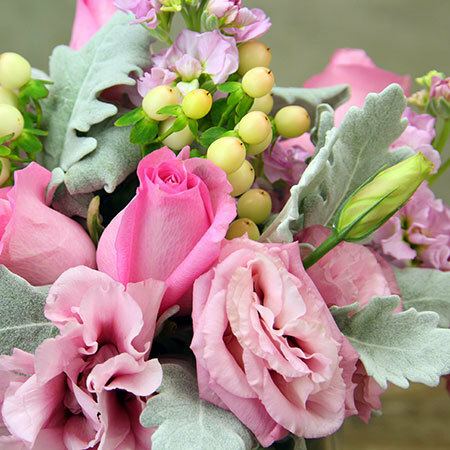 Our darling little vase of mixed pink flowers features a combination of soft lisianthus, fragrant stock and fresh roses, with touches of dainty white hypericum berries and silvery Dusty Miller leaves. 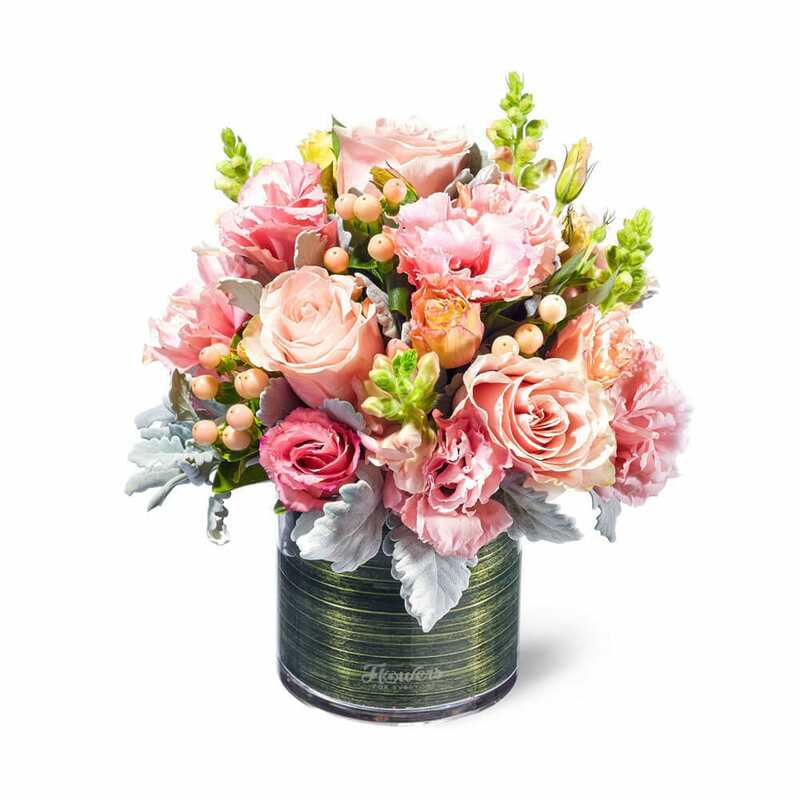 A gorgeous flower delivery for birthdays, newborn baby gifts or a simple thank you! Team it with a beautiful ECOYA home fragrance or pamper product from our range of quality add ons and you have an extra fabulous gift to make someone`s day!